What is the Eagle Eye? 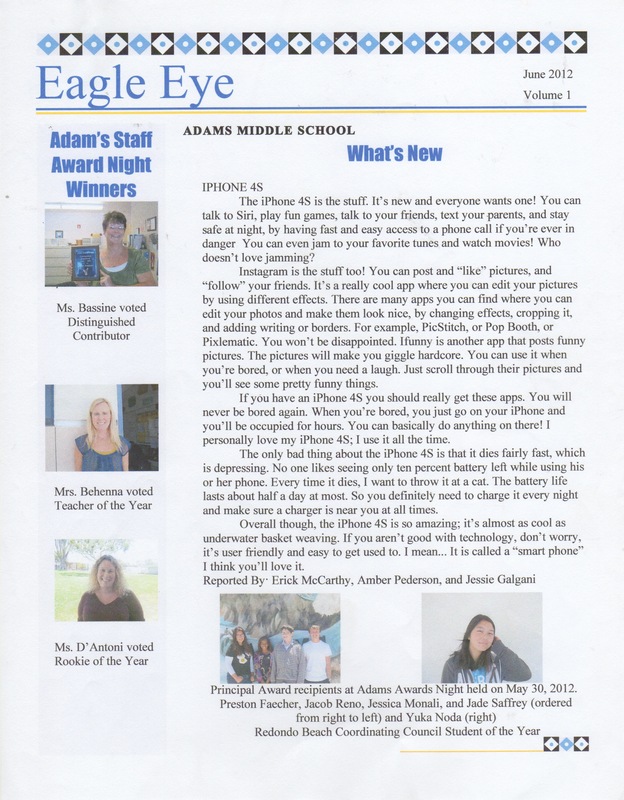 The Eagle Eye is an electronic newsletter designed by the students of the Yearbook and Journalism Staff for the students of Adams Middle School. If you haven't read the newsletter before it covers what's new and trending, sports coverage, book, movie, and music reviews, recipes and so much more. 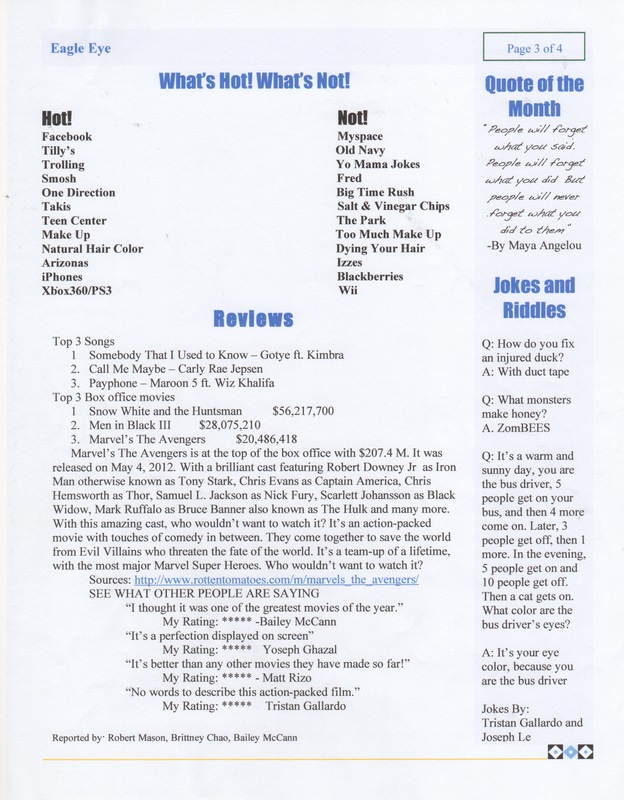 If you like any of these things make sure to read the Eagle Eye and all the new ones that come out every quarter! 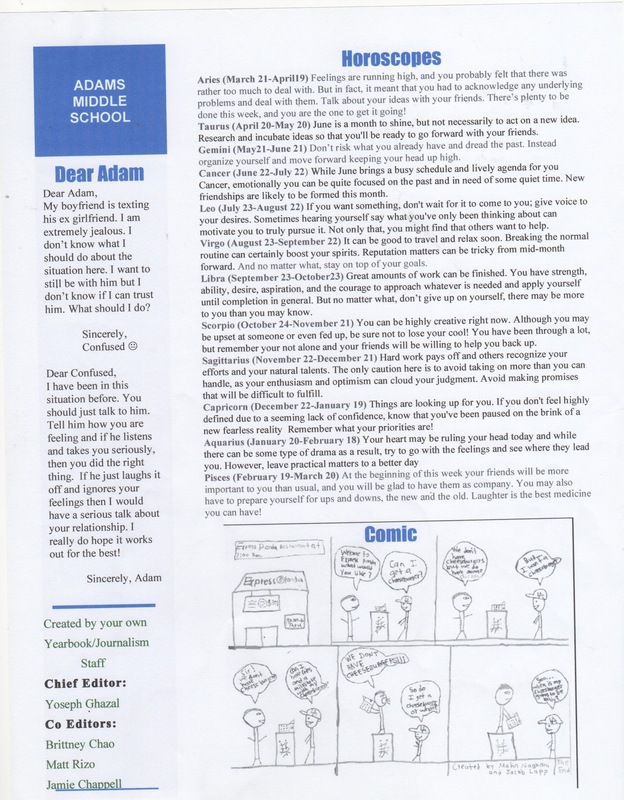 Please click on the links below to continue reading past issues of the school's electronic newsletter.